Q.Which conditions can acupuncture help? A.Acupuncture can be helpful in a variety of chronic or periodic painful conditions in men, women and children. These include low back pain, neuralgia, headaches, premenstrual and peri-menopausal syndromes, and the pain resulting from arthritis and rheumatism. Painful disorders that are difficult to treat using Western medicine, such as the various fibromyalgia syndromes, trigeminal neuralgia and regional pain syndromes, may also respond well to acupuncture. Acute and chronic pain from injury or continuing pain after surgery are additional indications for evaluation by Oriental medicine. Acupuncture is used as an adjunct in the treatment of asthma, allergies, and sinus problems, as well as in the acute symptoms of viral upper respiratory infections. When treated at an early stage, cold or flu symptoms may be completely eliminated. Acupuncture is also finding increasing use in various chronic viral illnesses which cause a variety of symptoms and fatigue. Other conditions responsive to acupuncture include repetitive motion injuries such as those suffered by typists and musicians, and muscular aches and pains from overwork or strained muscles. Hormonal imbalances in men and women as well as complex symptom patterns that resist easy classification are another area where Oriental diagnosis should be considered. Side effects from chemotherapy and radiation and adjunctive treament of cancers and malignancies may also benefit from regular treatment. Complications from cancer surgery, such as pain and lymphedema, are another area where acupuncture, moxabustion and plant derived medicines can be useful. Q.How do I know if acupuncture will help my condition? A.The best source for knowledgeable information about your specific condition is a medical doctor trained in all aspects of Oriental Medicine. This physician should also be able to advise you if Western evaluation and treatment is more appropriate for your problem. An initial evaluation to obtain a history and examine you is necessary. Then the doctor will discuss your diagnosis and the options for treatment. A.The number of treatments necessary depends on the condition being treated. Recent injuries and conditions seen at an early stage will often improve immediately. Those conditions that have been present for longer periods may require more treatment, and serious derangements of structure or metabolism will require extensive therapy. A course of treatments for recent problems in a healthy person may range from 2 to 5. In a person with many health problems and a chronic disease, as many as 7 to 15 sessions may be required before a true picture of the situation is apparent. Q.What are the risks of acupuncture? Is it uncomfortable? A.At Acupuncture Associates, the use of sterile, disposable needles ensures that there is no risk of disease transmission. The needles are very thin and are much smaller than the needles used in the familiar hypodermic injections. The most common complication of treatment is a small bruise or a drop of blood when the needle is removed. Because the needles are so small and light, the sensation that occurs when the needles are placed is minimal. A heavy, distended, sore, or achy feeling is often felt around the area of effective acupuncture. Q.My doctor does not believe in acupuncture. Do I have to believe in order to obtain results? A.In fact, acupuncture works very well for horses, dogs, oxen, and cats, most of whom probably don't "believe" in acupuncture, either. It is always beneficial to have confidence in your physician, but faith in a particular technique is not required to obtain results. Q.Are "secret" or "family" points important to results? I have been told that I should only see ethnic Chinese for treatment. A.This is a very interesting question. A great many people, do, in fact, believe that special lineage points are helpful. There is some truth to this. But I should point out that this is not a phenomenon which is limited to any ethnic group. My own experience is that capability varies widely among peoples, and aptitude for the practice of medicine is not inherited. I should also point out that anyone who has been in practice for any length of time acquires a lot of useful information, some of which is secret because it is characteristic of the personal relationship of teacher and student to share such ineffable experiences. This will occur whether you are working within a Tibetan lineage or one from Cleveland. Certainly there are teachings which I received from Ngagpa Rinpoche which were rare and unusual, and now that he's gone, there is literally no one except those few of use who studied with him who know the techniques which he taught us. The same is true for the insights of my physical diagnosis instructor in medical school, Dr. Mortimer Siegel, who I think was a master, also. One time, when I was working with Matsumoto-sensei, we both became intrigued by a student who seemed to have a really good needle technique. The patient was very happy with the needling of a usually painful point, and Kiiko and I converged on the patient at about the same time to watch this student. There were other students around, but none of them was observing the exact finesse that this student had added to the treatment. Both Kiiko and I exchanged glances as we both simultaneously understood what this student has done to make her needling less painful. No one else was paying attention. So, everyone might have some "secret" knowledge if they were attentive during their studies. Q.Is All Acupuncture the Same? A.A common misconception among both physicians and patients is that "acupuncture" is a system of treatment. 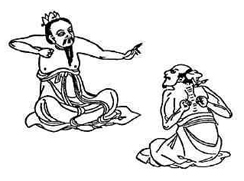 In reality, acupuncture, or more accurately, acupuncture and moxabustion, are just tools to adjust the qi and yang qi. Even in the modern American fashion of defining people by the tools they use, it makes no more sense to define a physician who uses acupuncture as an "acupuncturist" than it would to define a carpenter who uses a hammer as a "hammerist". In reality, when a patient needs someone skilled in the use of a scalpel, they want a surgeon, not a "scalpelist". A surgeon needs to know which tool is appropriate, and how and when (and when not) to use it. A surgeon's task is not only to perform the operation, but also to follow up, evaluating the results of surgery, as well as continue to manage the patient safely and appropriately out of the post surgical period. The same reasoning applies to acupuncture. Acupuncture is, in fact, a surgical specialty. Minor surgery, to be sure, with very few side effects and risks, but surgery nonetheless. Also in common with surgery, which encompasses many tools and techniques, there are different indications for different types of acupuncture as determined by the diagnosis. Even when a surgeon is experienced with a particular procedure, each operation needs to be adapted to the unique conditions which present. 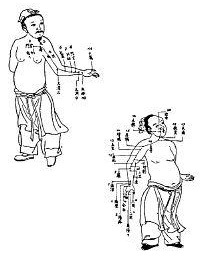 Contrary to popular myth, there is no "big book of acupuncture" that a physician can consult with a formula of treatment for every disease. The specific choice of points and effectiveness of acupuncture and moxabustion, is in part the result of correct diagnosis, and in part a result of the skill and experience of the physician in choosing the correct tool and using it properly. As with surgical operations, each treatment must address the patient's presentation. As the condition responds, the treatment should be adapted to reflect the new reality. 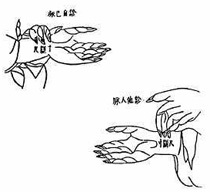 A practitioner who has broad familiarity with several systems of diagnosis, and can treat not only the Luo vessels with acupuncture and moxabustion, but who can address the Jing vessels and secondary channels, will achieve the best results. Often, when I am consulted by a patient who tells me "I already tried acupuncture and it didn't help", I find that the diagnosis was incorrect or the practitioner has not had enough training or experience to construct a treatment plan. Only a person who believes all surgeons are alike would believe that all acupuncture is the same. Much the same reasoning applies to the diagnostic process and selection of a Chinese herbal formula. Utilizing the skills of a chef, a pharmacist, and a physician, the expert herbalist can add tremendous potential to the treatment protocol. Q.How should I prepare for treatment sessions? A.The best general advice is to come in a calm state. Try to arrive ten or fifteen minutes before your appointment to allow yourself a chance to relax. Vigorous exercise or sexual activity in the hour before treatment is not recommended. Q.What happens during the treatment? A.Depending on the areas to be treated, you may be positioned on your back, your stomach, your side, or sitting. Be certain that you can remain relaxed in this position, as you may not wish to move for the duration of the treatment, usually 15 to 25 minutes. Q.What sensations will I experience during treatment? A.Usually, there is a pleasant state of calm, which develops during the treatment and may persist for some time. You may even fall nearly asleep during the session. In areas that have been treated, a sensation of heaviness or swelling may persist for up to an hour or so after treatment. Q.What should I do after treatment? A.It is often helpful to sit quietly following a treatment, and relax. A gentle walk or very mild exercise can also be helpful. Large meals, vigorous exercise, alcohol or excessive aggravation should be avoided. Q.Will Chinese "herbal" formulas help me? A.Most physicians trained in Oriental medicine will prescribe dietary supplements derived from plants and minerals, though animal products are sometimes used. Sometimes these may be part of the initial treatment, or they may be used after a series of acupuncture sessions has clarified the diagnosis. Patients should expect that any behavioral or dietary changes will need to be continued to maintain the benefit of the Oriental approach, and often dietary supplements are taken daily for weeks or months. Free of most of the side effects of pharmaceutical drugs, Chinese formulations are often available in modern extract or tablet form that is more convenient than the traditional "soups" used in the Orient. In the past, I used to maintain a complete pharmacy of herbs to compound for patients. Bags of herbs have to be simmered for at least an hour and a half, and some ingredients have to be added at different times to be most effective, as too much heat will disturb the delicate ingredients.I found that this was difficult for most people to prepare, and I moved most people to more convenient formulations in 1988. Q.What about contamination of herbs and patent medicines? A.You are correct to be concerned about this. Regulations for pesticides and herbicides are different in the source countries for bulk herbs than they are here. Those that are not heavily treated with chemicals may be contaminated with insect and other pests or molds. Correct storage is also important. Some products from China and other countries have been found to be contaminated with arsenic, mercury, lead, and cadmium. Adulteration with pharmaceutical drugs have also occurred. Toxic plants have sometimes been mistakenly substituted for the correct ones. Once again, your best assurance will come from working with a knowledgeable practitioner of all aspects of Oriental medicine.